Rule 1: Post 11 things about yourself. Rule 2: Answer the tagger's 11 questions. Rule 3: Tag and pass the awards to 11 other bloggers. Rule 4: Create 11 questions for the bloggers to answer. Rule 5: Go to bloggers page and inform them about the awards. Rule 6: No tagging back. 1. Who/what was the inspiration behind your blog? 3. Idea for a perfect breakfast? 5. What kind of music do you enjoy? 6. Idea of a perfect vacation? 8. Which is your favorite place to shop in this world? Why? 9. Are you active or quite or calm person? 10. What quality do you most like in yourself and why? 11. What recipe you specialize in? 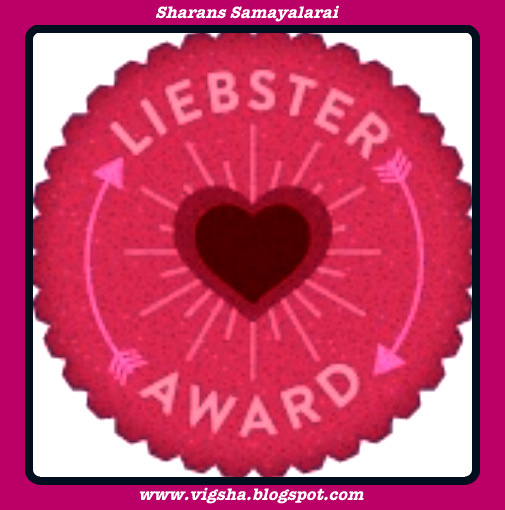 Now friends please accept my below award and tag your blogger friends !! Have a great weekend !! congrats for your award Sharan! congrats dear ! !....thank you for sharing with me.....keep rocking !!! Congrats for your award dear. wish you get many more in future. Congrats on the award.. Wish u receive many more.. I am so excited to have my first award. But i do not know how to take it means how to get this award. Should i post it like i do for recipe or any other way. i know its a very silly question but really do not know about it. Please guide me as soon as possible. 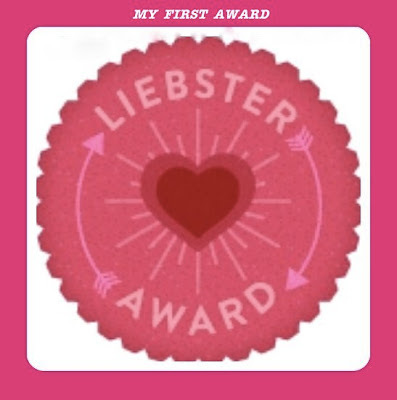 i am very excited to show this award on my blog. I am glad that you liked it. I got this award from other blogger, she nominated me for this award. Similarly, you should post it in your blog(like how you do for a recipe .. like my above post) and you should nominate 11 blogger friends. Hope this clarifies. Let me know if you are still unclear. congrats on your first award...wish u more in future.... thanks a lot sharing with me..
Congrats dear on your award!! Wish you many more of them in future.. Thanks for sharing the award with me :) will try to post it soon!